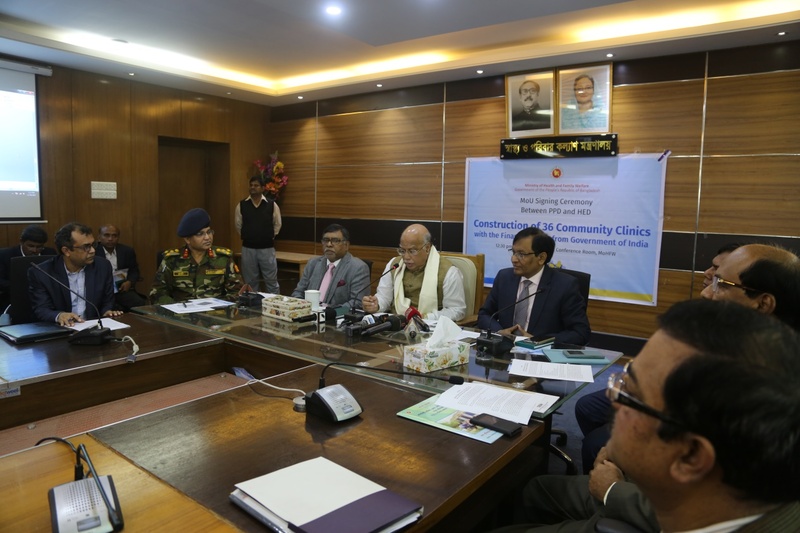 Partners in Population and Development (PPD) and Health Engineering Department signed a Memorandum of Understanding (MOU) for Construction of 36 Community Clinics with the financial support of Government of India on 28 December 2017. 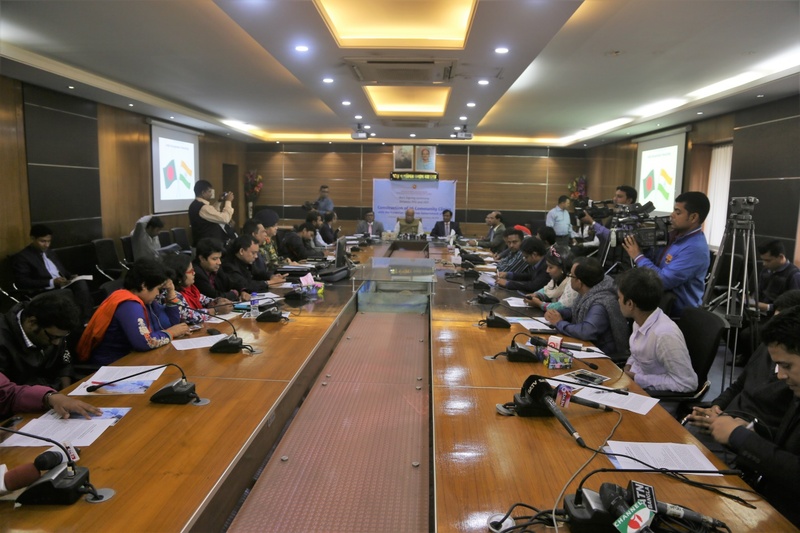 The MoU signing ceremony held in the Conference Room of Ministry of Health and Family Welfare (MoHFW), Government of Bangladesh in the presence of H.E. Mr. Mohammed Nasim, Honorable Minister of Health and Family Welfare, H.E. Mr. Zahid Maleque, Honorable State Minister of Health and Family Welfare, MoHFW, Mr. Faiz Ahmed, Secretary, Medical Education and Family Welfare Division and Mr. Quazi AKM Mohiul Islam, Additional Secretary, and PCC of PPD, Population, Family Welfare and Law, MoHFW. MoU has been signed by Dr Md. Nazrul Islam, Director Program, PPD and Eng. Mohammad Anwar Ali, Superintendent Engineer, HED. 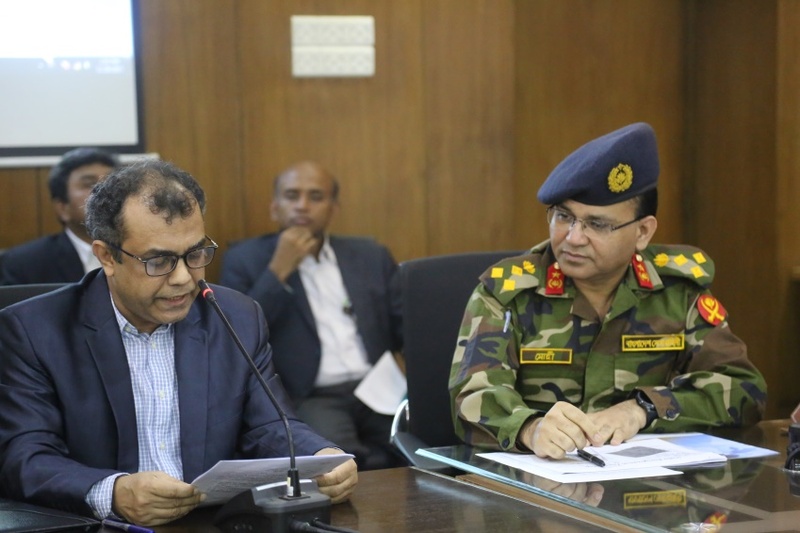 PPD and the Ministry of Health and Family Welfare, Government of Bangladesh as well as the Ministry of Health and Family Welfare, Government of India have enjoyed a long standing partnership with each other as both are the PPD’s focal Ministries in the respective countries. Over the last 2 decades, many programs of cooperation have been established in the field of reproductive health, population and development through promoting south-south cooperation. This MOU commits us to work together more closely towards our common goal, the pursuit of the internationalization of Community Clinics Experience through South South Cooperation in order to ensure more healthcare services to the community people and achieve health related sustainable development goals by 2030. Each side will pursue many significant activities, such as PPD will ensure effective implementation of 36 community clinics construction works with the financial support through High Commission of India, Government of India. 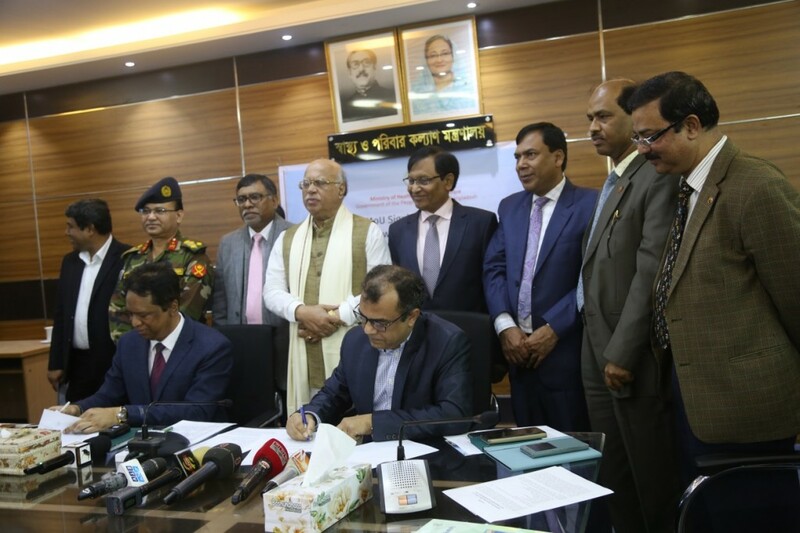 PPD will work further to document the community clinic experience as good practice in Bangladesh and will exchange the practice to other member countries of PPD for its learning and replication. These are top priority items for this MoU. HED will mobilize community people for community partnerships and ownership, ensure land donation from community people and construct the 36 clinics, health works force will be appointed to ensure the smooth operation of these clinics and ensure services to the people under the guidance of Ministry of Health and Family Welfare. PPD would like to express their sincere gratitude to everyone whose dedication and efforts have contributed to the finalization of this MOU. In particular, PPD family would like to thank Honorable Minister of Health and Family Welfare His Excellency Mr. Mohammed Nasim, MP and Honorable State Minister of Health His Excellency Mr. Zahid Maleque, MP, Brigadier General M A Mohy, Chief Engineer of HED and his Team of HED; Mr. Harsh Vardhan Shringla, High Commissioner of India to Dhaka and Mr. Dibbanjan Roy, First Secretary and Railway Advisor of Indian High Commission, Government of India. Their insights, goodwill and friendship have made the signing of this MOU a reality. 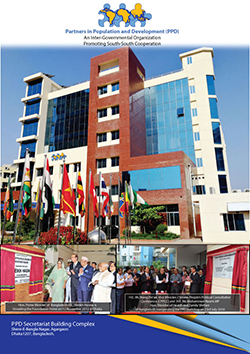 PPD family would like to say that we are confident that through our efforts and commitment, we will be able to achieve more and to be able to continue to develop even stronger relationships and friendships between the people of Bangladesh and India along with people of other PPD member of countries. PPD would like to take this opportunity to assure you that the PPD will do whatever it can in order to provide a successful implementation of this MOU.